We’ll be honest, we can’t wait to get our hands on the Huawei P20 Pro ever since we heard that it will have a 40MP image sensor and 5x hybrid zoom. We loved PureView cameras and we were bummed out that they never came to an Android phone. Meanwhile, there’s the Xiaomi Mi Mix 2s getting ready to be unveiled on the same day – March 27 (Tuesday). It will have a dual camera, meaning it has the potential to be the first Mix with a good camera (let’s be honest, the Mix wasn’t the camera flagship in Xiaomi’s lineup). So, how about we put those two in a ring and let you pick your favorite. Sure, we’re working with rumored specifications and features. However, this close to the launch, we don’t think there should be any major mistakes or omissions. Plus, if there are, we can do this for real next week. These two phones have just so much in common. The camera will be a major upgrade over the previous model in each line, clearly. Maybe you think that the Leica-developed camera on the P20 will be the clear winner, but we can’t know for sure yet. And it doesn’t matter, there’s more to a phone than its camera (even if it’s in the Top 3 of key components). If camera was the only thing that mattered, Lumias would still be around. So, let’s look at the other bits. Both phones will have very similar screens – AMOLED panels with a tall aspect ratio. 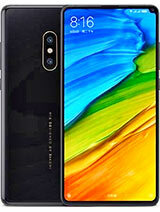 The P20 Pro is expected to have a 6.1” 18.5:9 screen, but if we ignore the notched top row, it’s virtually a match for Mi Mix 2s’ 6.0” 18:9 screen. Both have 1080p+ resolution. And both phones will have a fairly bezel-less design. Xiaomi kicked things off with the original, the Mi Mix 2s should refine it further. 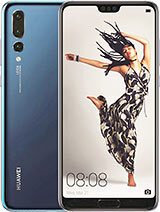 Huawei has been making phones with narrow side bezels since the Mate 7 and now with the P20 Pro it’s tackling the vertical bezels too (the top one, anyway). Both phones will be powered by flagship chipsets (Kirin 970 and Snapdragon 845), both of which will be running AI code to help the camera. And both have their own brand of Android customizations. It looks like the Huawei will have the better battery story (capacity and fast charge), but the Xiaomi will be more affordable. So, if the two events are at the same time, which livestream will you watch? 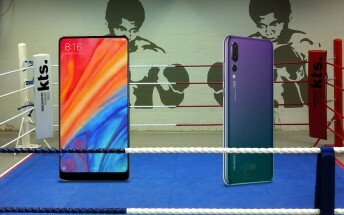 Does the Xiaomi Mi Mix 2s seem more interesting or does the Huawei P20 Pro excite you more?